There are not alot of bungalows in the Pittsburgh market (about 40 at this writing), but they are available. 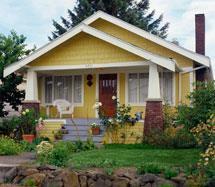 The multilist does not have categories for Bungalow or Craftsman homes, so they can be hard to find. I pay close attention to new listings and maintain a list of available homes. EMAIL ME BELOW FOR SOME BUNGALOW LISTINGS TO PERUSE! About 10-15% of listings don't show on most public websites. This is because some Real Estate firms do not participate in Internet Data Exchange with other brokerages. I can set you up on a search of non-IDX listings, including many foreclosures.